This morning I took Samantha's nifty seasonal transition advice and slipped into one of my old dark floral dresses, as they seem to be the perfect in-between-seasons uniform. The darker pattern gives you the feel of the upcoming crispness, while the lightness of the fabric still keeps you cool during those warm late summer days. It's a win-win really. 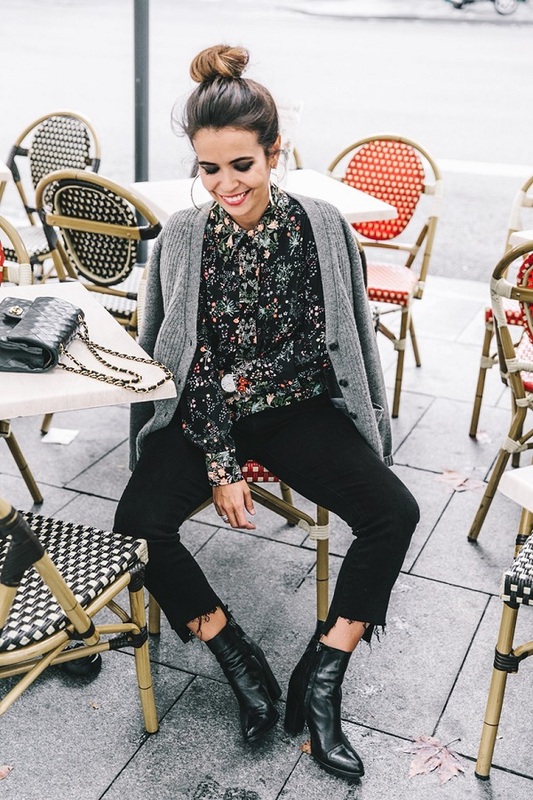 Here are three dark floral pieces worth getting for these in-between times: this shirt, that dress and this blouse. Any favourites? P.P.S: Plus, a flower fix = happier you. Love the floral dresses! I have my eye on one over at Zara, I think I'll check tomorrow after work if it looks as good in person :-) Have a lovely day! Marieken, Zara has some amazing pieces, indeed.